As you pursue your nursing education, you may find yourself wondering which medical journals you should subscribe to while you’re a student. Reading general articles as well as those related to your more specific field of study can be a good way to keep abreast of current issues in nursing. This will not only enhance your learning while in school, but help you establish good study habits that will continue to be of benefit once you start your nursing career. Many nursing specialties require ongoing continuing education in order to keep your certification current or to renew your certification. In addition, staying current with issues important in nursing will help you to help your patients. There are a huge number of medical journals available today, some in print and some online. Knowing which ones to access or subscribe to can feel a little daunting. You may want to start by talking to teachers and mentors on your nursing faculty who will no doubt have suggestions about the best ones for students to read. Some teachers may encourage students to subscribe to certain journals for classes. Many journals offer good discounts for student readers, so make sure you take advantage of those where you can. In addition to suggestions from teachers, you can also often find comprehensive online listings of some of the most respected nursing journals. Lists like these are good to skim because they usually provide thumbnail overviews of the journals in question and give you a feel for the kinds of topics that will be covered within their pages. It might be a good idea to subscribe to a general nursing journal or magazine in addition to one that carries research more specific to your specialty or intended specialty. General nursing articles can keep you updated on overall healthcare trends and issues within the profession that all nurses would do well to stay informed about. More specific journals will help you to study more in-depth in your field. For example, if you are a surgical nurse, you might want to subscribe to Wound Care Advisor or World Wide Wounds, while a nurse working in oncology might want to subscribe to Cancer Nursing or The Oncology Nurse. There are multiple journals available for different specialties or nursing settings, including magazines for school nurses, nurse practitioners, nurse administrators and more. One way to discover the magazines that are especially good for someone in your field is to check in with any professional organization or society you might have joined in relation to your specialty. They may have good recommendations to make that will suit your specific needs. No matter what journals you subscribe to, keep in mind that they will only be helpful if you actually read them. 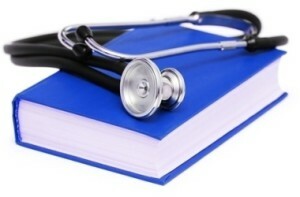 Consider devoting a certain amount of time each month to reading and thinking in areas related to your field of nursing. Discussing current issues with other nurses can also help you to get the most from whatever medical journals you decide are best for you. For more information on nursing school, please also see: Top 10 Cheapest Online RN to BSN Degree Programs.